Once you learn the basics of affiliate marketing, you’ll begin wanting to know about exploding your profits. You’re going to hear a lot of people repeat the phrase “wash, rinse, repeat” to you – and that can get frustrating if you don’t know exactly what that means. It basically means that once you start seeing success with your current tactics, you’ll want to replicate them and make more money. There are a few ways you can do this as an affiliate marketer looking for growth. First, you can go into more niche markets. If you know that your strategies are working in the parenting niche, for example, you can expand into another niche like fitness. You want to make sure that you have time to manage the number of sites that you create. One good way to test a market without putting an entire site together is to use a third party site like Squidoo – where you can create a page known as a lens on the topic. If it profits on Squidoo and ranks well, then you’ll have an idea of its viability if you were to invest time into building a separate site for it. You can also grow your profits by expanding on the products you’re promoting. You might have built a site about baby strollers, for example. You can build on that by creating similar niche sites, like baby car seats, baby clothes, baby swings, and so on. Once you start promoting more products, you might want to build a home site that links to all of these mini topics. So for example, you could build a main parenting site that links to your other sites on strollers, baby bottles, car seats and more. 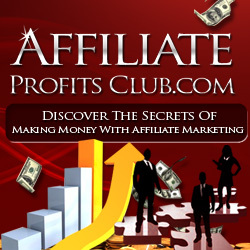 You can also look into other affiliate programs to boost your commissions. If you’re only promoting on Amazon, for example – check out Commission Junction, Share-a-Sale, and so on. If you’re on ClickBank only right now, then see what’s on JVZoo, Warrior Plus, and even Amazon in the book or Kindle departments. Those can tack on extra commissions to your profits. Another growth factor is obviously traffic. You should be studying various ways to boost traffic to your affiliate sites. More traffic means more conversions. Build a subscriber list so you can communicate with them repeatedly. When you’re ready to make the leap, you can grow your affiliate income by becoming a product creator. Writing a book about your affiliate experiences allows you to promote the tools and courses that helped you along the way. Inside your course, you could link to a keyword tool, for example – and make a commission off of that.